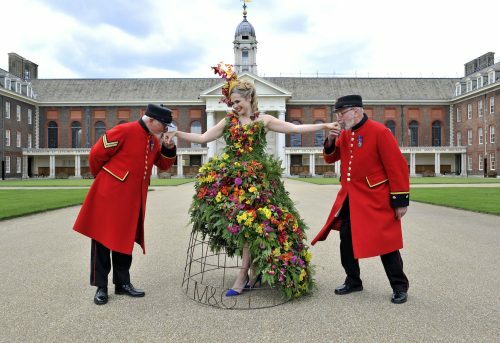 We were thrilled to be commissioned by M&G Investments once again to create two magnificent dresses entirely from fresh flowers to celebrate their seventh year as title sponsor of the RHS Chelsea Flower Show. 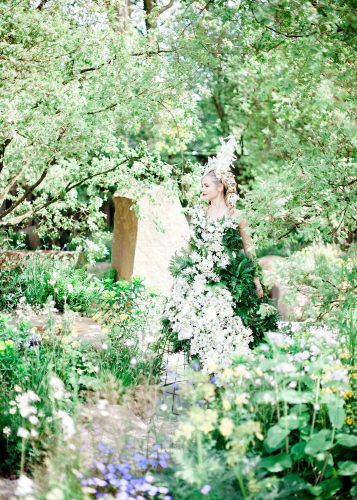 Each of these astonishing handcrafted dresses took over 100 hours to create and feature 1,800 mixed Peruvian fern leaves and over 460 flowers entwined with willow branches. Our initial inspiration came from the renderings created by multi-award winning garden designer Cleve West; through research we refined a concept which thoughtfully and sensitively incorporated finishes and textures that nod towards his signature style. 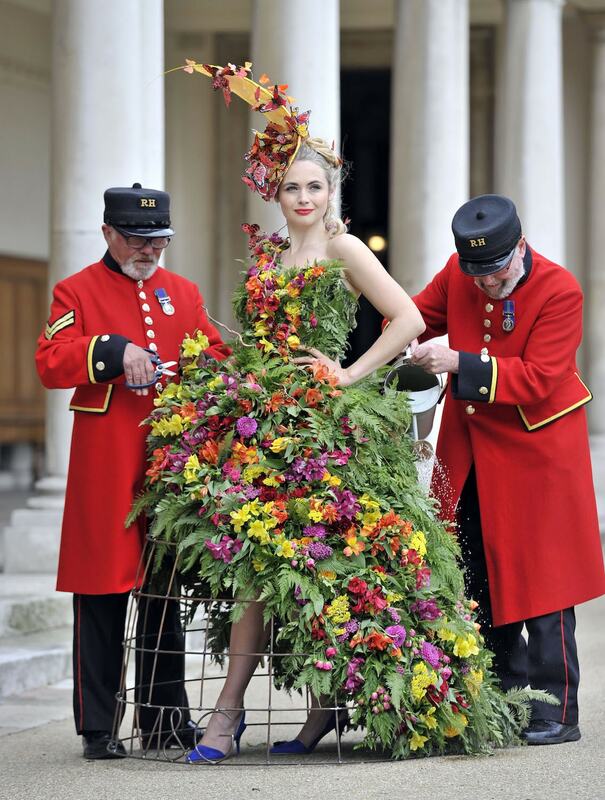 This in turn, produced a seamless marketing campaign that received excellent press engagement. Crafted from a skeleton of raw steel by skilled artisans, this dress assumes a timeless and theatrical silhouette whilst seamlessly integrating a contemporary approach through the use of progressive techniques and modern innovation. The bodice works to create a flattering shape whilst the crinoline below adds a rigid notion that echoes the masculinity of the Cleve West garden design. 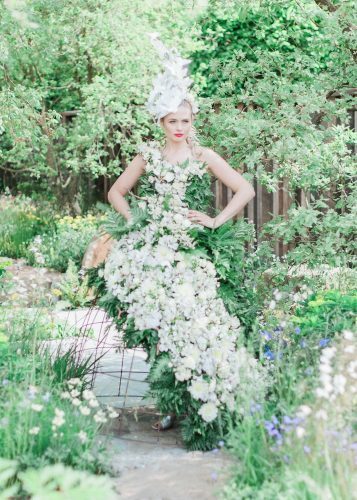 The organic way in which this veritably grows up and around the dress adds delicacy and sensitivity to the brash skeleton beneath. Leaving an element of the crinoline untouched affords a wonderful sense of light and shade and really works to celebrate this modern design. Creating two dresses this year, each in a different scheme, provided our client with strong marketing collateral prior to the opening of the show. 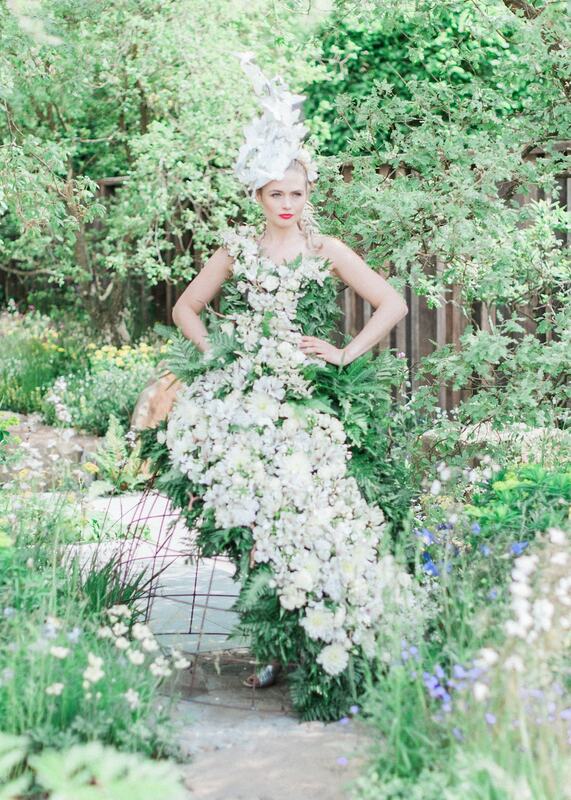 The final dress was then revealed to the worlds press on opening day inside the Cleve West garden to fully realise and showcase both designers creations and communicate an incredibly strong story which was later published on the front cover of The Times alongside many other major news outlets & digital publications.